Several studies indicate that organic food is commonly perceived by the general public to be a health and the environment friendly option, and in many cases concerns about health and the environment tend to be interwoven as a motif for buying organic food. These two concerns can be interwoven in different ways. A typical rationale is that healthy soils, plants and animals are a basis for human health, and that therefore care and concern for any of these environmental factors will also cater for better human health. This way of thinking is not easily captured by ticking off boxes in a questionnaire seeking to rank distinct motivations for “nature/environment”, “animals/ethics” or “health”. This also makes attempts to classify some motives as “altruistic” and others as “personal”, “hedonistic” or the like more complex. Another example of interwoven themes involves “sustainable eating” and “healthy eating”. 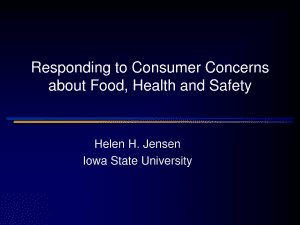 Here interpretations of the first to a large extent coincide with prevailing advice for the latter (see, for example, Torjusen and Vittersø 1998), and consumer emphasis on issues relevant to either of these motives is often interconnected. Also, a number of specific issues seem to be connected, by consumers, with both the health and the environment of human. Examples are again the use of GMOs and the use of pesticides. As already discussed above, these relate to several types of consumer concern, among them health and the environment protection. Regarding the relative importance of the two issues – health and the environment – there is some discussion in the literature. There is an indication, for example, in literature on Denmark, Italy and the UK, that the most dedicated, “big-volume” consumers, who regularly buy organic food, put more emphasis on altruistic motives such as environmental concern though here the reservations mentioned above need to be borne in mind). In accordance with this view, it has been observed in Denmark that health-related motivations seem to have become more central for the “newcomers” among the organic consumers who until recently bought conventional foods. The Italian studies tend to indicate that health concerns are more common than environmental concerns, but they also refer to the importance of environmental concerns, particularly among more dedicated consumers. Against this, tentative observations in countries like Hungary, where the domestic market is very little developed, suggest that health concerns are dominant among the few pioneering consumers who are at present able to track down and pay for organic food. It is claimed37 (on the basis of the very limited literature) that consumers of organic food in Central and Eastern European countries are mainly vegetarians and/or health food customers. One hypothesis is that, in this region, traditional eating patterns and what are considered “healthy diets” differ more dramatically than they do in Western countries, and that this might have a bearing on the perceptions of organic food and the association of organic food with “health food” and healthy diets. It is assumed that this association of organic food with health food and vegetarian food may be one reason why organic products of animal origin play a less important role in Central and Eastern European countries than in Western countries. On the other hand, the Hungarian emphasis on health might be the upshot of a general view of environmental issues: there are indications that consumers in Hungary do not to any great extent see agriculture as a major polluter of the environment. This is referred to as a possible reason for not buying organic food. It might be an important factor in countries with similar perceptions about nature and agriculture. 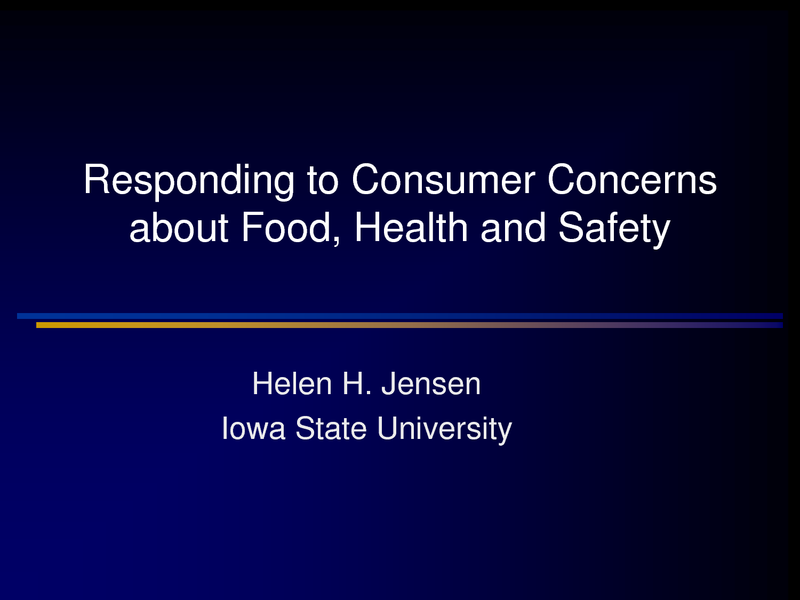 Although it involves speculative hypotheses, the discussion of these issues illustrates the general point that general food culture and general perceptions of health are important background factors for understanding the consumption of organic food.